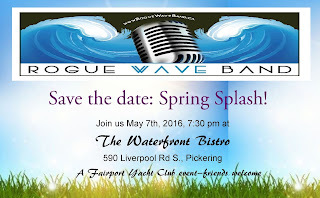 To help launch another great season, Rogue Wave will be playing at the Bistro on Saturday May 7 starting at 7:30 p.m. There is a $5.00 cover charge. Cash bar. Bring your friends! 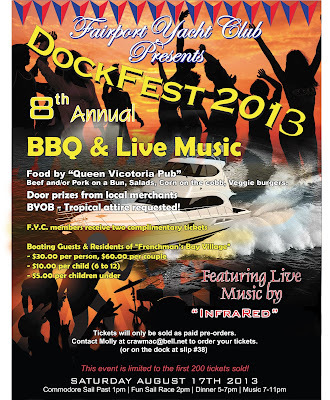 Click on the poster for an enlarged view. For tickets, see Molly at Slip 38 or email crawmac@sympatico.ca. 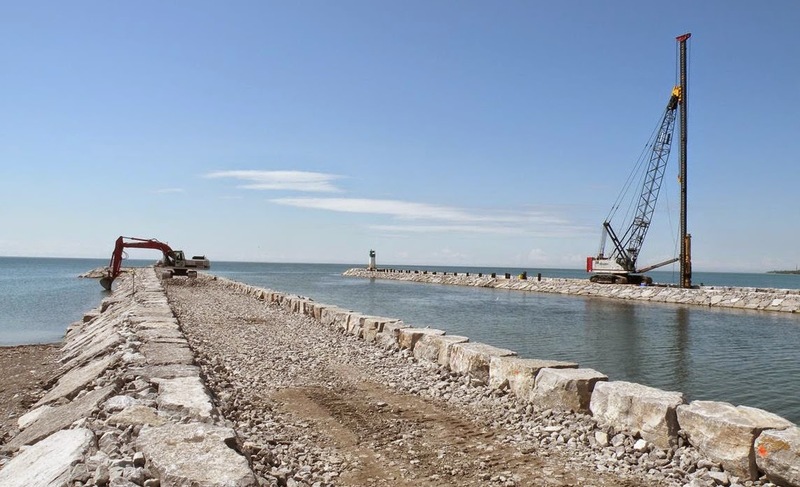 Work nears completion on the much-improved harbour entrance to Frenchman's Bay and Frenchman's Bay Marina, Fairport Yacht Club and Frenchman's Bay Yacht Club. The old channel was 80 feet wide with depth of 6 feet, if you could find it. The new one is 120 feet wide and has a full 12 feet of depth. A new dock to accommodate yachts 70 and 78 feet LOA with beam up to 21 feet on side ties has been added at Frenchman's Bay Marina. It will eventually become a dockominium like the Fairport Yacht Club dock at right. Each slip has two 50-amp power outlets. There will be a social deck at the outer end. 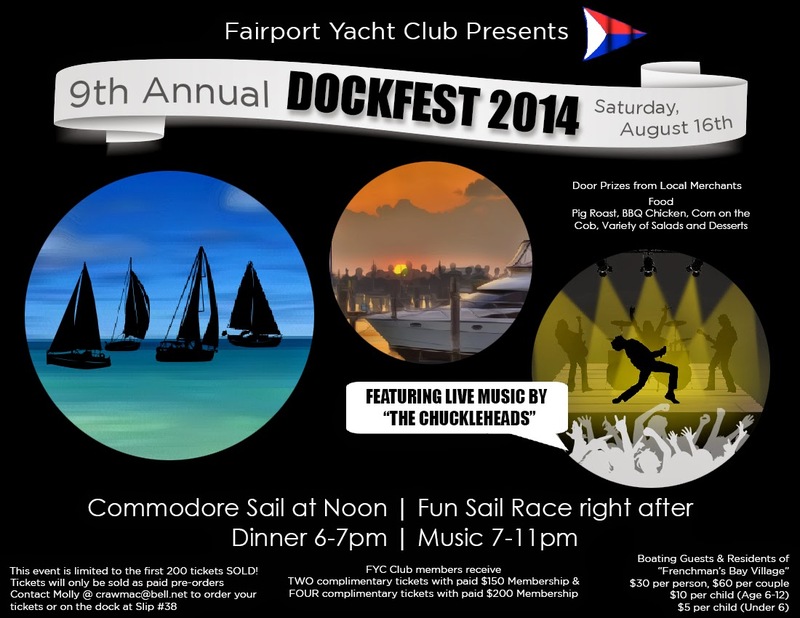 For info on purchase or rental, email Dockmaster at Fairport Yacht Club. Click one either image for an enlarged view. Click the poster to view a larger image. Click on image for a larger view, and information on ordering tickets. Click here for information about Fairport Yacht Club incorporated in 1984. 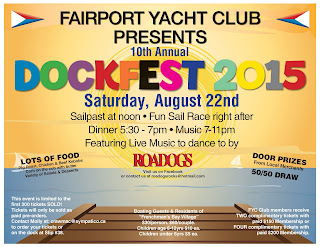 To reach the Fairport Yacht Club, click here. 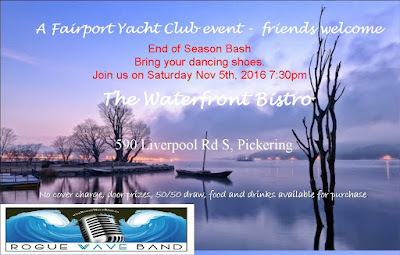 Our two large 50-foot visitor docks are at the outer west end and we have two more smaller 35-foot docks next to the shore. We can also accommodate you in an empty member's slip if one is available. Members of reciprocating clubs are welcome to stay with us for up to three days three times per year at no charge. Note: FYC is a true reciprocal club. If your club makes a charge for first and/or subsequent nights, someone will be around to collect during your stay to a maximum of $25.00 per night. A note to our U.S. visitors: FYC is not a Customs dock. Please clear at Frenchman's Bay Marina immediately south of us prior to arrival. We do not reciprocate with marinas except by prior arrangement. Click on any image in the main column at left for a larger view. 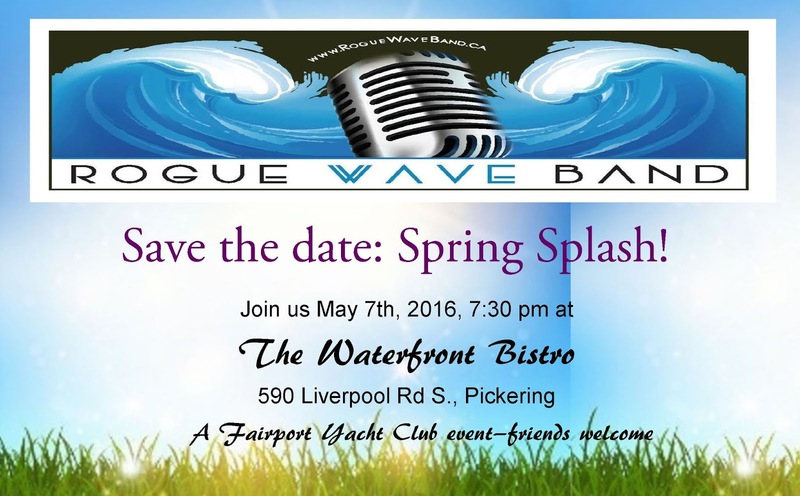 We're located on lovely Frenchman's Bay in Pickering, Ontario, immediately north of Frenchman's Bay Marina.